Walking Tours Rome is happy to offer you the opportunity to discover all the City of Rome and his culture from the birth on 21 April 753 A.C. up today. Thank you for visiting our site! You are in the right place, if you are thinking about visiting Rome, the range of our Tours allow you to discover the Eternal City of Rome. We can provide all services you might need on your trip, from arrival to departure with the pickup from your Hotel. 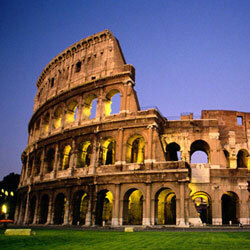 Day time and night time guided Tours will take you to discover the most famous monuments in Rome. We are a passionate and qualified Walking Rome official group of Guides operating in Rome for thirty five years. We are official Guides in the Vatican State with a very high standards of quality. To be sure you get the service you deserve and to avoid mistakes, we have strict procedures of quality control at every step. We have a large English-speaking staff, we process your orders and reply to your emails promptly within 24 hours. You will find a friendly person with a great experience to discuss your travel plans, no matter how simple or complex they may be. It is a pleasure for us to arrange your Private Tours in Rome and Vatican. We are open to suggestions and advice to improve our service. We wait for you in Rome, you will enjoy it!